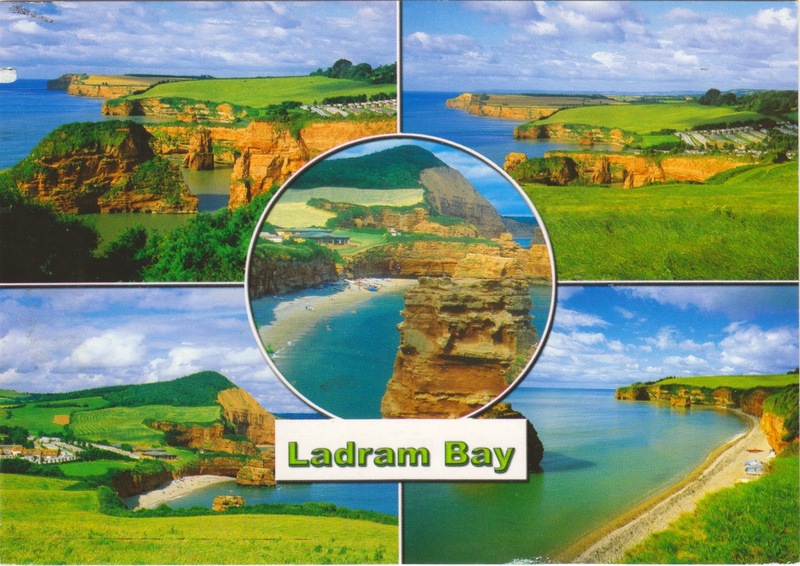 Postcard GB-515408 from the United Kingdom shows Ladram Bay on the south coast of Devon, England. It is a secluded bay with pebble beach, between the coastal towns of Budleigh Salterton on the southwest and Sidmouth on the northeast. The RV park at Ladram Bay, Ladram Bay Holiday Park, is the second largest holiday center in Devon, offering fantastic views over the ocean. It is located within the 155-km or 96-mile Jurassic Coast where a continuous sequence of Triassic, Jurassic and Cretaceous rock formations reveal 185 million years of the Earths history.